Kids Share Workshops Program is designed for ages 8-16. Teaching kids ages 5-9 was a bit challenging but very rewarding. We were not able to touch on our literacy portion of the workshop but had a lot of fun with Art Projects using recycled materials and tissue art, cross cultural sharing through Technology using Skype and videos, Environmental Education (composting and creating avocado seed containers), and Exploring (the Nature Reserve and Lake). Day 9 was to be an afternoon at a local campo (fotbal field) playing soccer but a tropical down pour kept us in doors. So plan B was a Movie and Popcorn! The kids really enjoyed watching Hop and hanging out. We did practice our Kids Share song with our new Maracas. Day 10 our Participation Ceremony went very well and we were thrilled to see so many parents attend. We worked hard to create a slide show with videos sharing our five weeks with the PanaKids. Everyone enjoyed seeing the work and adventures we had! At the end of our presentation each child was handed a prize and a certificate of participation. Julieta, received a special prize for attending every workshop! Before leaving each child took home their creations and posters donated by the Vermont Arts Council. Kids Share Workshops donated the gallons of paint, brushes, containers, smocks and more for future art projects. We miss our new friends and the wonderful time we had together. We are thankful for the support of PanaKids and volunteers who assisted us. A special thanks to: Jeanne Ross Atchinson for volunteer teaching and traveling with her daughter to Guatemala, Dina Salpor who did a wonderful job tanslating and teaching with us, PanaKids teachers Astrid and Alison for coordinating our stay in Panajachel and assistance at PanaKids and finally Christina Hussain for her volunteer teaching assistance. 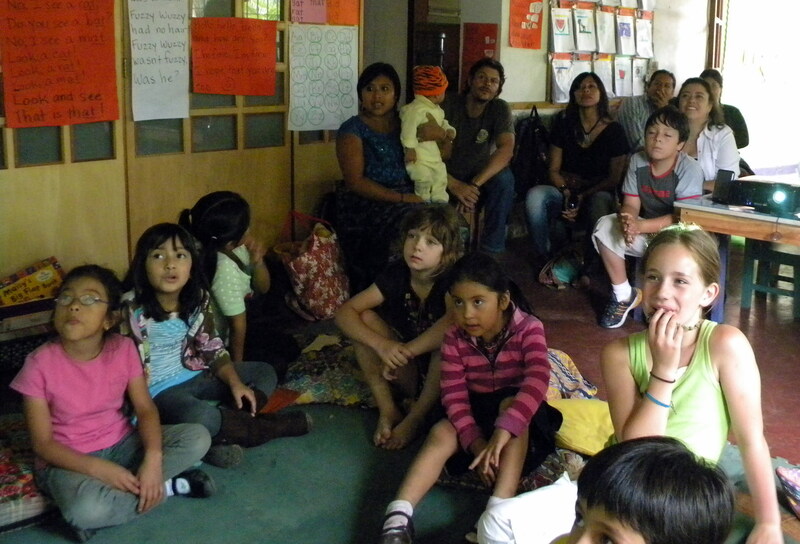 Kids Share Workshops is heading to Oregon and Costa Rica for a site investigation in September. This will be the first workshop working directly with Partners of the Americas by coordinating with both chapters in their communities. Kristina, founder is flying out to teach and train others the Kids Share Workshop Program in Oregon. Volunteers will learn how to cross culturally share using Kids Share Workshops curriculum with their counter parts in Costa Rica. 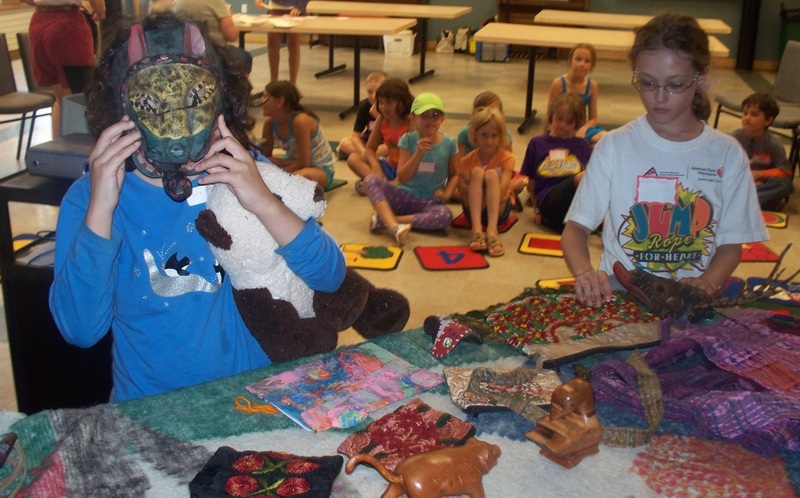 Kids Share Workshops is visiting local libraries and schools to share special cross cultural presentations taking place in Central and North America. Please see the next posting sharing the recent presentation and art demonstration at the Brown Public Library in Northfield, Vermont.